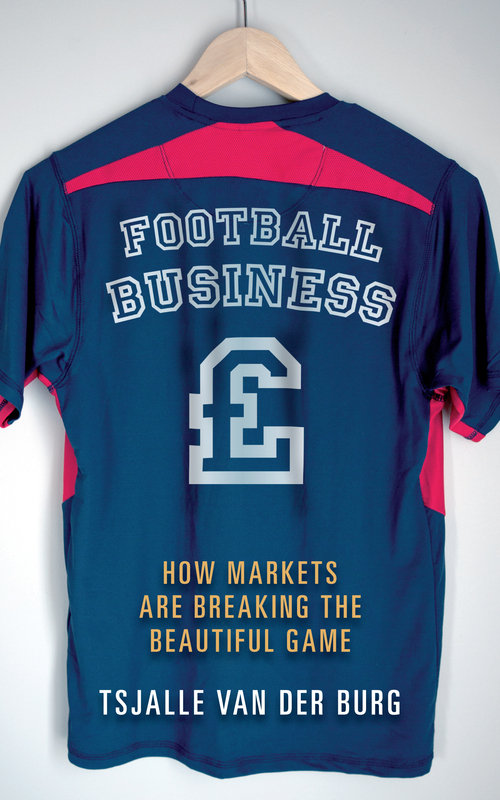 In Football business Tsjalle van der Burg shows how the economics of football have developed and been corrupted. In a series of engaging stories he uncovers the mysteries of football finance. Van der Burg explains why if the 2013 English Premiership champions, Manchester United, had played their 1960 equivalent, Burnley, United would have won 158–1; why Feyenoord should be called Royal Feyenoord, and why politicians and media executives party while the fans walk alone. How did the fans become so marginal to the business of the clubs? The public face of football’s finance is the exponential rise of players’ wages, ludicrous transfer fees and escalating ticket prices. Season tickets at some north London clubs are already pushing £2,000. But the real picture is much more worrying. Clubs operate in a global market for sponsorship and television rights and the competition is fiercer off the pitch than it is on it. The beautiful game has been defiled by commercialism and greed. The fans are becoming increasingly irrelevant to the business of football as their great, historic clubs face crises caused my massive debt and incompetent financial management. The only way that fans can regain a degree of control is by understanding how the business works, and that means understanding the underlying economics. To download a free supplement to this book, click here. You can listen to Tsjalle van der Burg discuss his book and ideas on the future of football on Talk Radio Europe here.